Product categories of Flicker LED Candles, we are specialized manufacturers from China, Flicker LED Candles, Remote Control Battery LED Candle suppliers/factory, wholesale high-quality products of Remote Control Flicker Led Candles R & D and manufacturing, we have the perfect after-sales service and technical support. Look forward to your cooperation! Flicker Led Candle is made from paraffin wax. Flicker:an unsteady movement of a flame or light that causes rapid variations in brightness. If you don`t like strong light, then Flicker LED Candles is your best choice. There are two types for this item, one :battery operated. First of all, put the battery on the bottom , then switch on. Candle will be flicker. First of all, to make sure the candle have battery, then switch it on, candle also will be flicker. 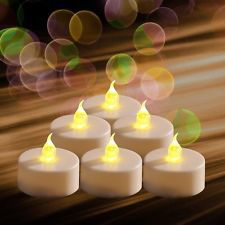 Flicker Led Candles is very popular these days, they are widely used in club, birthday party and made a proposal for marriage also can express your love to the one which you need.